A "friand" (the word means "fond"!) is a sort of French pasty. 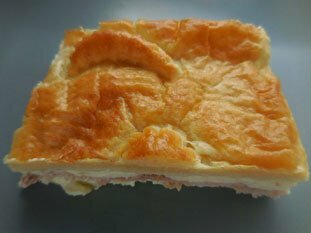 This pie-style version has two layers of puff pastry filled with a mixture of cheese, ham and bechamel sauce.